Hamas leader says the group would not be able to contain the mass protests on the day the U.S. moves its embassy to Jerusalem. 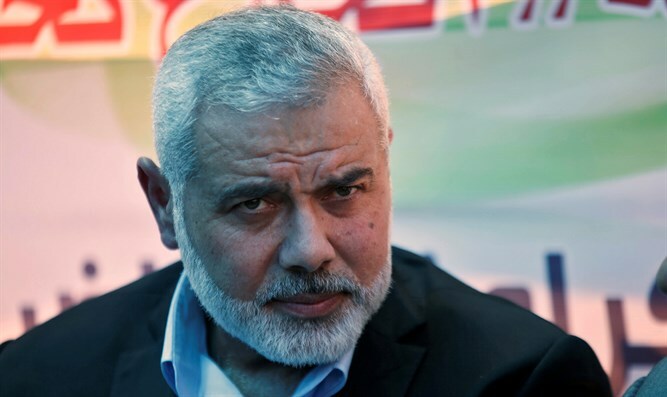 Hamas leader Ismail Haniyeh said on Friday that the group would not be able to contain the mass protests on the day the U.S. moves its embassy from Tel Aviv to Jerusalem. “We cannot stop the tens of thousands of residents who will go north, south and east to protest against the siege imposed upon Gaza,” he said, according to reports in Israeli media. U.S. President Donald Trump announced two weeks ago that the American embassy would move to Jerusalem in May to coincide with Israel’s 70th Independence Day. The embassy will be in located in the building that houses the consular operation in Jerusalem before moving to a separate annex by the end of 2019. The Arabs refer to Israel’s founding as the Nakba, meaning the "catastrophe" in Arabic. Earlier this week, officials in Gaza said hundreds of tents are to be erected near the Gaza-Israel border for a six-week protest between March 30 and May 15.